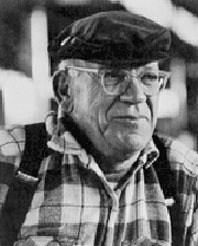 Eric Hoffer’s an interesting figure. Many observers consider the U.S. author’s book The True Believer a valuable contribution to the academic understanding of the nature of mass movements. He’s unique because he never engaged in any formal academic education, simply working as a longshoremen in Southern California to support himself. But, he was a voracious reader and “True Believer” — which I’ve nearly completed after a year of deliberate reading — includes copious footnotes to a litany of great books. “True Believer” appears to get better as it progresses. Chapter 88, for instance, contains some interesting thoughts on the urge to proselytize. He’s speaking broadly about any movement that obsesses over how to convert others. When I read it, I tend to think about fundamentalist religious believers (including atheists) and extreme political partisans, both left and right. The missionary zeal seems rather an expression of some deep misgiving, some pressing feeling of insufficiency at the center. Proselytizing is more a passionate search for something not yet found than a desire to bestow upon the world something we already have. It is a search for a final and irrefutable demonstration that our absolute truth is indeed the one and only truth. It is also plausible that those movements with the greatest inner contradiction between profession and practice — that is to say with a strong feeling of guilt — are likely to be the most fervent in imposing their faith on others. The more unworkable communism proves in Russia, and the more its leaders are compelled to compromise and adulterate the original creed, the more brazen and arrogant will be their attack on a non-believing world. The slaveholders of the South became the more aggressive in spreading their way of life the more it became patent that their position was untenable in a modern world. If free enterprise becomes a proselytizing holy cause, it will be a sign that its workability and advantages have ceased to be self evident. The passion for proselytizing and the passion for world dominion are both perhaps symptoms of some serious deficiency at the center. It is probably as true as a band of apostles or conquistadors as it is of a band of fugitives setting out for a distant land that they escape from an untenable situation at home. And how often indeed do the three meet, mingle and exchange their parts. Makes sense. I once had “some deep misgivings” at my core. Those who knew me can attest that I often tried to proselytize my friends (and anyone else who would listen) toward my conservative politics and atheistic viewpoint. So, maybe Hoffer’s onto something here. Luckily, I don’t feel the need to convince my readers of this belief.